We took a break from being beach bums today and hit the road, headed for John’s Island, South Carolina, to see Justin’s dad. It was supposed to be a quick two-hour trip. It wasn’t. It was three hours. After a marina-side lunch with my father-in-law and his wife, we headed to Kiawah, where Pat and Becky used to live. It’s a classy place. Upscale, even. Until we got there. 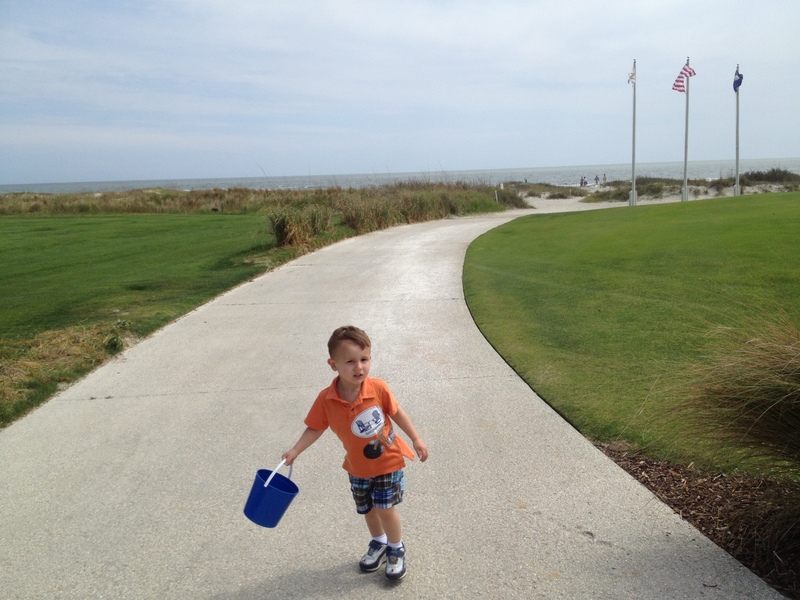 Robbie immediately grew bored with looking at the golf course and reminiscing about Justin’s adventures on Kiawah over college spring breaks (think golf cart mishaps and the like) and decided that he and his (second) lucky bucket needed a trip to the beach. We happily left Justin and Pat sitting in rocking chairs on the clubhouse porch and headed for the beach. Perhaps I brought it on myself by asking Robbie if he wanted me to take his shoes off. Initially he declined. However, after a few minutes of transferring handfuls of sand to his lucky bucket, he decided that his shoes and socks did, indeed, need to be removed. Of course, I happily obliged. That, however, was not the end. Robbie then insisted that his shirt come off. I hesitated at this because (bad parent alert here!) Robbie’s shoulders were a little sunburned from yesterday (perhaps due to his inability to realize what a good thing he has with spray sunscreen and failure to stand still). But, who am I to deny a boy his right to be shirtless on the beach? This, unfortunately, was not the end either. He then felt that his shorts should be removed. And here I drew the line. This was a classy (albeit empty) beach. Certainly not the place to be running around in your diaper. But then I thought about it a little more, amidst screams from my toddler to “take pants off, Mom!” Maybe a kid in a diaper was just what this place needed. 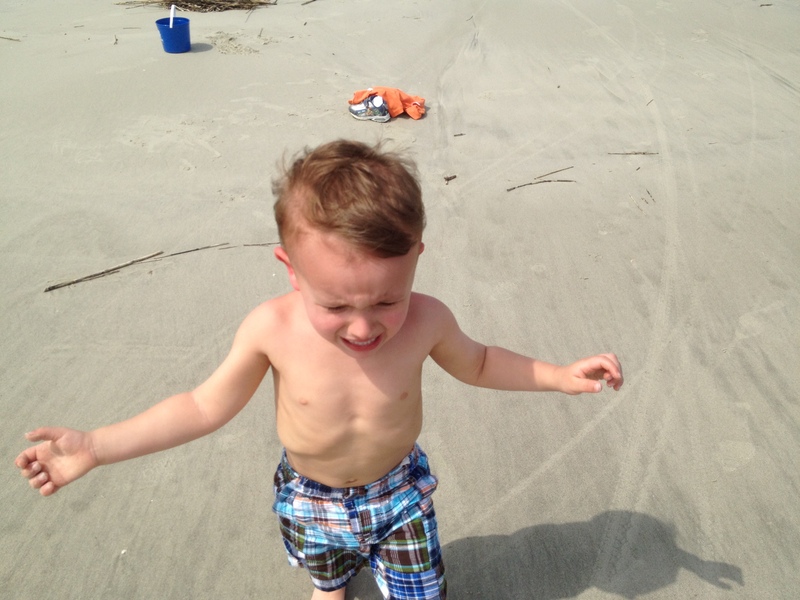 And, despite his crazier spring break stories, I was pretty sure my husband had never run around the beach in a diaper (although I do hesitate to ask). So, I took off the kid’s pants. And then he took off his diaper. 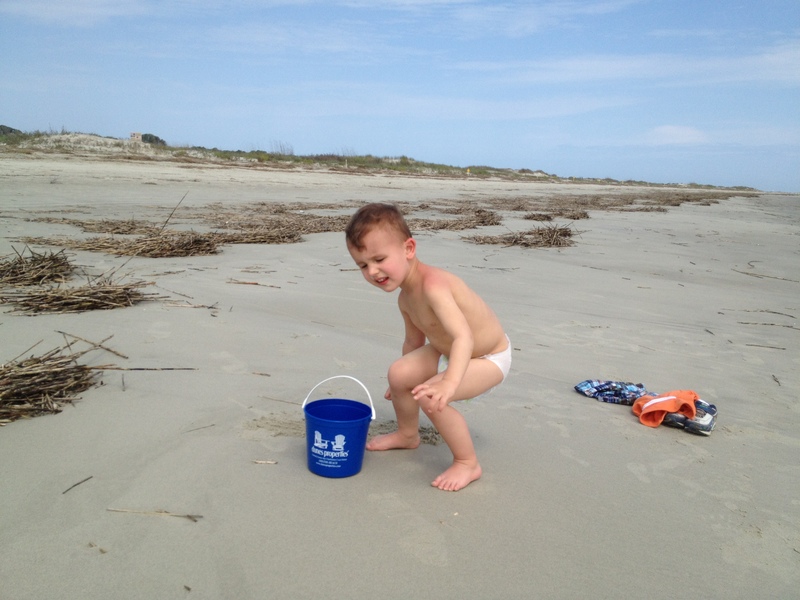 And ran around the beach naked for about thirty seconds before deciding it was time to put his diaper back on and avoid sand in uncomfortable places. However, Robbie did give his father just enough running around to see his naked behind from 200-yards away. And that, ladies and gentlemen, is how we keep it classy.